I've already covered the updates run by Mercedes for the Japanese GP but thought I'd cover a few of the stragglers. 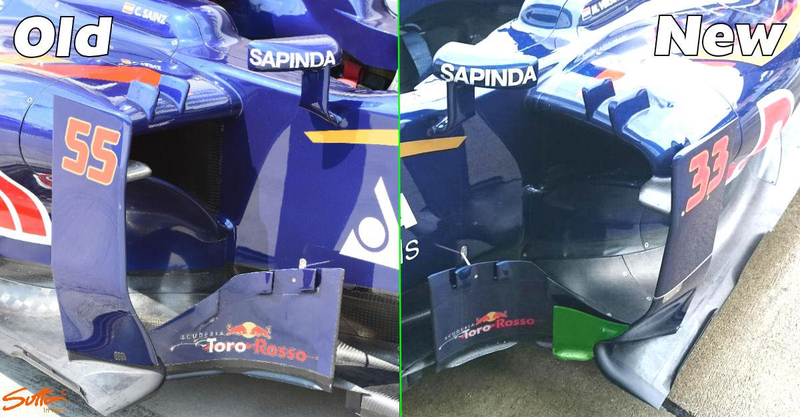 The poorer brother of Red Bull continue to impress with how they manage their resources introducing a new set of bargeboards in Japan. Toro Rosso introduced slotted bargeboards at this point last year so it's no coincidence that the team have concentrated their efforts in the region again again this year. The likes of Mercedes and Ferrari have already run this configuration but Toro Rosso join their ranks with there own intepretation. 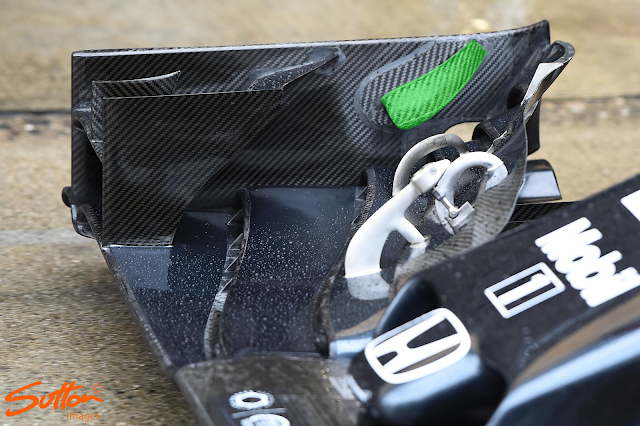 Higlighted in green in Albert's picture is the smaller bargeboard which lies ahead of the larger one, which has also been amended to cater for the change. You'll note that the main bargeboard now turns more abrubtly inward, with the increased angle of attack margainalised by the injection of airflow provided by the smaller bargeboard. The upshot should be an improvement in flow around the sidepod, improving flow and downforce downstream. 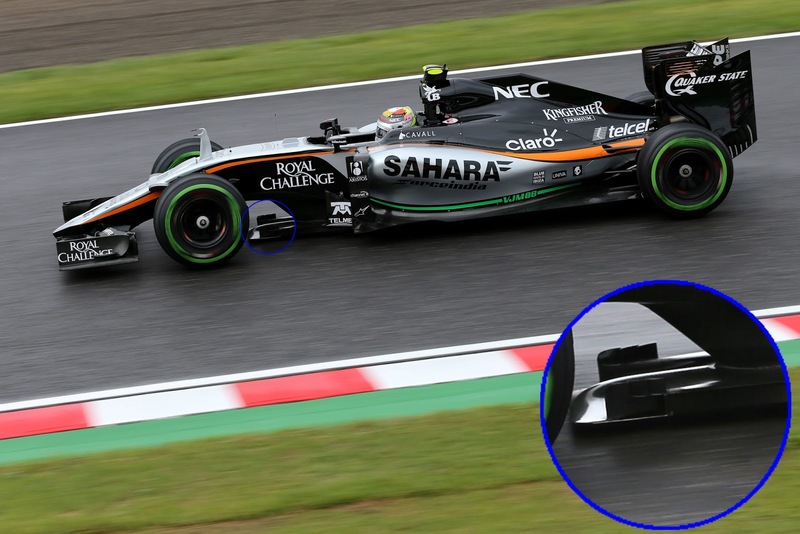 Having introduced changes in Singapore the team continued to revise their front wing in Japan adding an inboard canard. Highlighted in green the additonal inboard canards assist the cascades in directing airflow over and around the front wheel. In Japan Force India joined the growing rank of teams adding fences to the leading upper edge of the splitter, like Toro Rosso though their fence numbers 3 each side of the splitter. These fences may be small but they will have an effect on the airflow, improving matters downstream too.